An unforgettable debut novel about finding a home, a safe haven, and family. Deep in Oregon farm country, Edith and Earl McRae are looking down the barrel of their 50th anniversary with none of the joy such a milestone should hold. Instead, they are stuck in a past that holds them to heartbreak and tragedy. Enter the mysterious and ever-so-slightly magical Mara O'Shaunessey who appears on their ranch with the power to mend long broken fences and show them how to recognize the enchantment of their everyday lives. 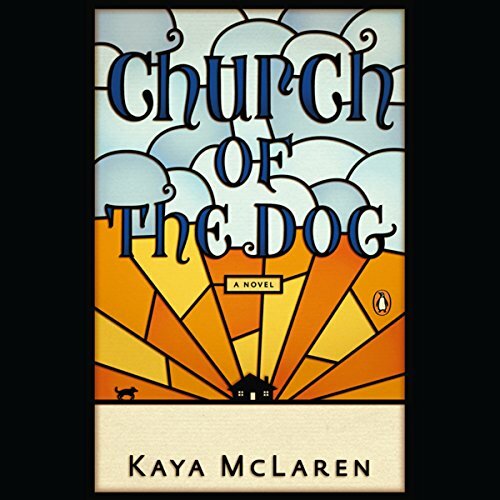 Gracefully capturing the strange alchemy of people and places, Kaya McLaren's story of redemption and rediscovery will inspire listeners to find the magic and power in every day shared with the people they love. It's a quick read but not worth one credit. I wish I could have picked up a hard copy at the thrift store.The narrator was great. This story is well written and wonderfully narrated but oh, it is so tragic. It is at least a box of kleenex. But the characters are great, the warmth is very warm. And none of us gets out of this life alive.